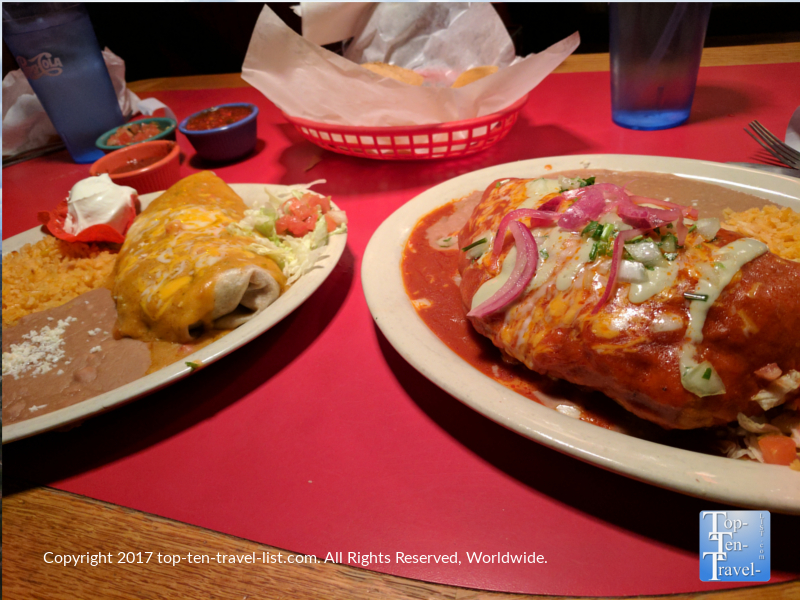 12 Restaurants to Check Out in Flagstaff, Arizona - Top Ten Travel Blog | Our experiences traveling throughout the US. For anyone planning a vacation to the Grand Canyon, you will probably end up spending the night (or several) in Flagstaff if the park hotels are all booked out. Flagstaff is a popular lodging area due to several attractive features including close proximity to the canyon (a little under 1.5 hours), an abundance of dining options, a variety of hotels at varying price points, and easy access to other natural wonders. It’s a good base for exploring natural wonders throughout the Northern Arizona region. During your time in Northern Arizona, you will likely be doing a lot of eating to replenish your worn out body after all the high altitude hiking, long drives in the car, and time spent exploring outside in a dry, high altitude environment. Along with most of the standard chains, the Flagstaff restaurant scene also offers a number of independent establishments. More and more local businesses are setting up shop in Flagstaff. Today, a vast variety of ethnic restaurants are available to please all different types of diners making their way to one of the world’s most popular travel destinations. 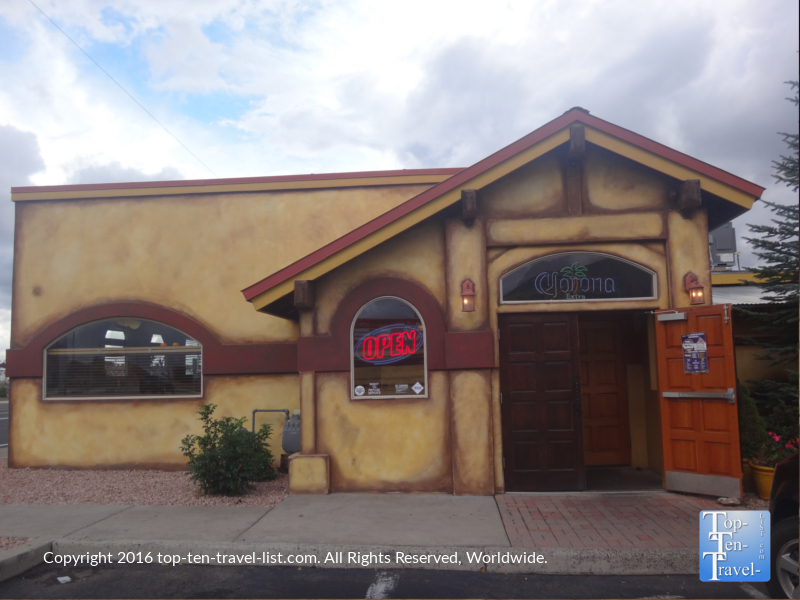 Here are 12 of my favorite restaurants in the Flagstaff area. 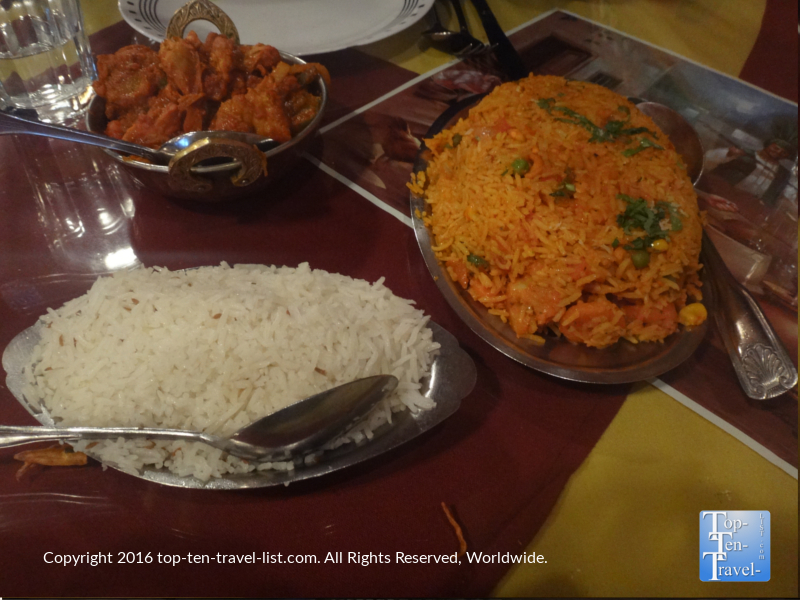 Delhi Palace is a wonderful local Indian restaurant with the most delicious lunch buffet you will ever come across. Every day from 11-2, a scrumptious 30+ item lunch buffet of Indian favorites like Saag Paneer, Vegetable Korma, Onion Bhaji, Chicken Lentil Soup, and more are offered. And the complimentary Naan bread is the best! The best part of all is that this buffet will only set you back 9 bucks- a real steal in this pricey tourist area. 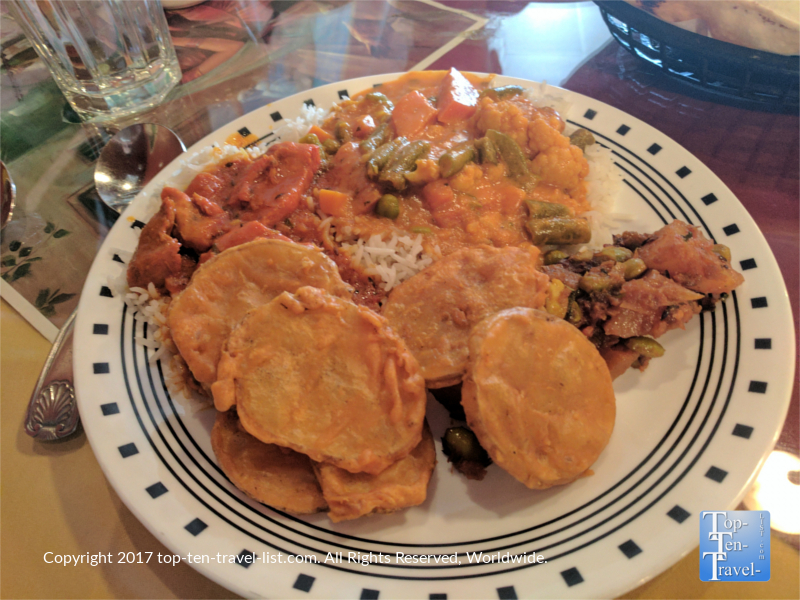 If you are new to Indian food, why not give it a shot? This delicious, filling cuisine is the perfect choice before/after any intense area activity – it fills you up and it is delicious – you really cannot go wrong! Service here is great, as is the ambiance. All the entrees are more mildly flavored, so those avoiding spicy foods need not worry! 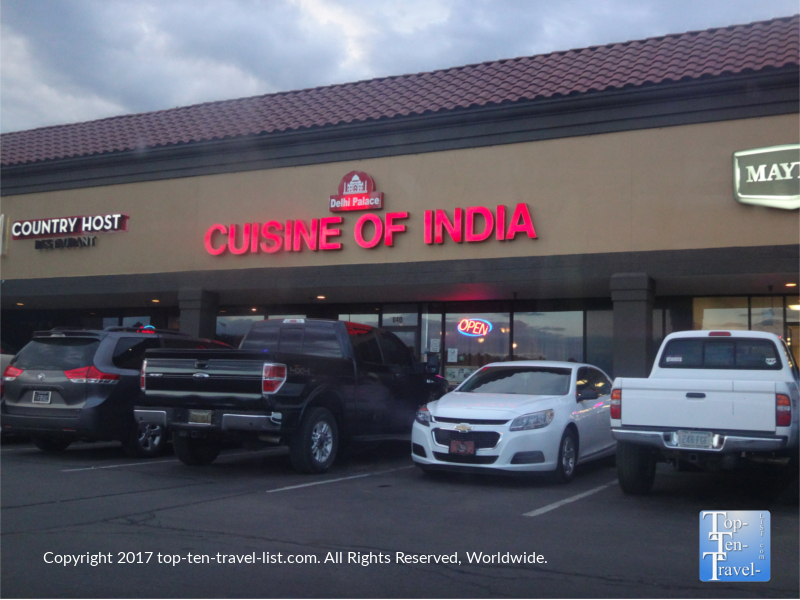 And do not let the Wal-Mart strip mall location fool you – Delhi is one of Flagstaff’s best! 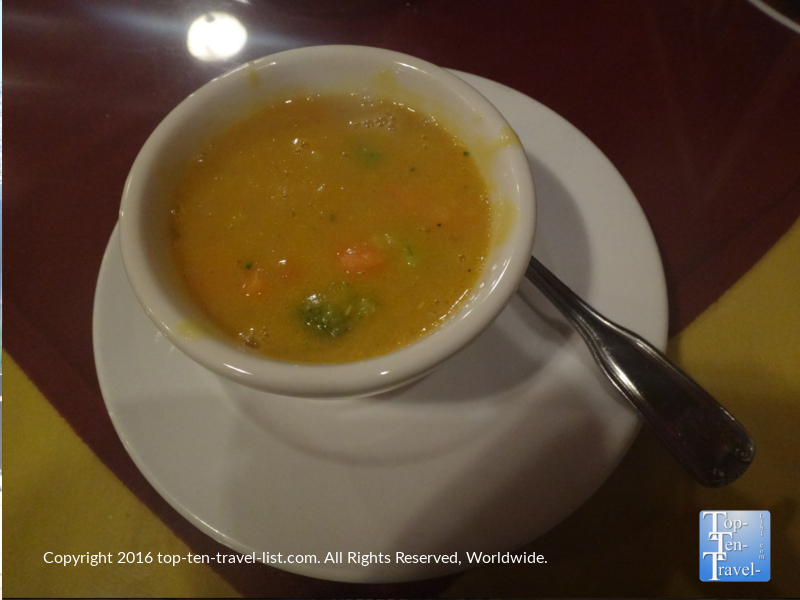 Delhi has 2 wonderful soup including a veggie soup and a chicken based soup with lentil and herbs, both of which are on the lunch buffet line. Lots of great dishes to choose from here, thus, I recommend checking out the lunch buffet and checking out a variety before committing to a dinner! 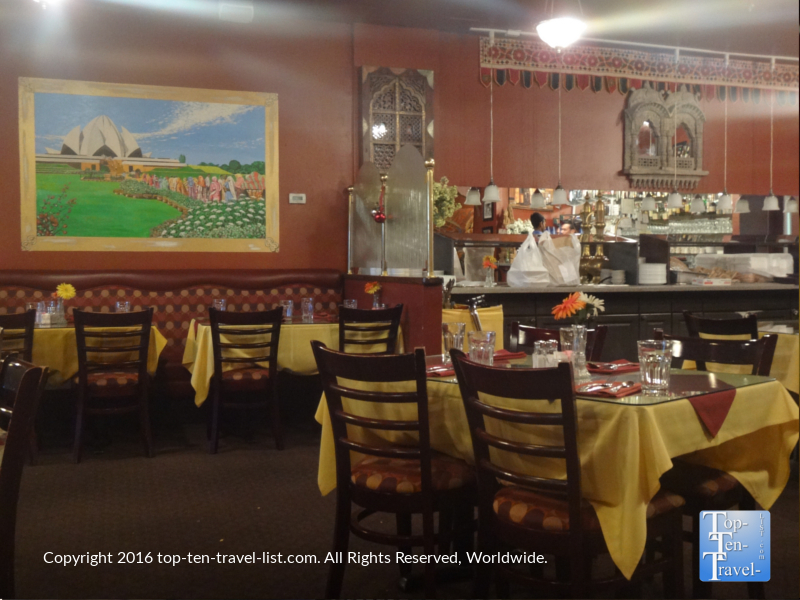 Delhi Palace offers a nice traditional Indian dining experience. Salva Brava is a wonderful local Mexican restaurant along Rt. 66. You may have seen it featured on Food Network’s Diners, Drive Ins, and Dives. When Guy Fieri visited, he ordered the Stuffed Chicken Sopaipilla, and boy is it delicious! Other must try dishes include the shrimp fajitas, the farmer’s market burrito, the chimichanga, and Navajo taco. And of course, you will be tempted to make multiple return trips to Salsa Brava’s famous salsa bar, featuring a number of tasty salsas (using fresh tomatoes daily), in a variety of mild to spicy flavors. As an added bonus, Salsa uses no lard, MSG, and only antibiotic/hormone free chicken, so you can rest assured that you are eating a healthier version of traditional Mexican fare. The Stuffed Chicken Sopaipilla and Farmer’s Market Burrito – both delicious! 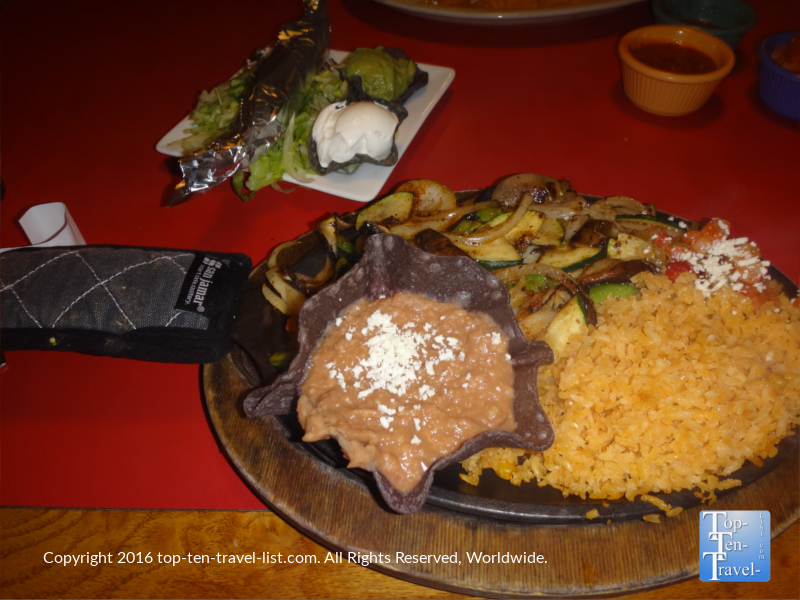 The fajitas (available in several varieties such as shrimp, blackened salmon, or portabello mushroom) are fantastic! 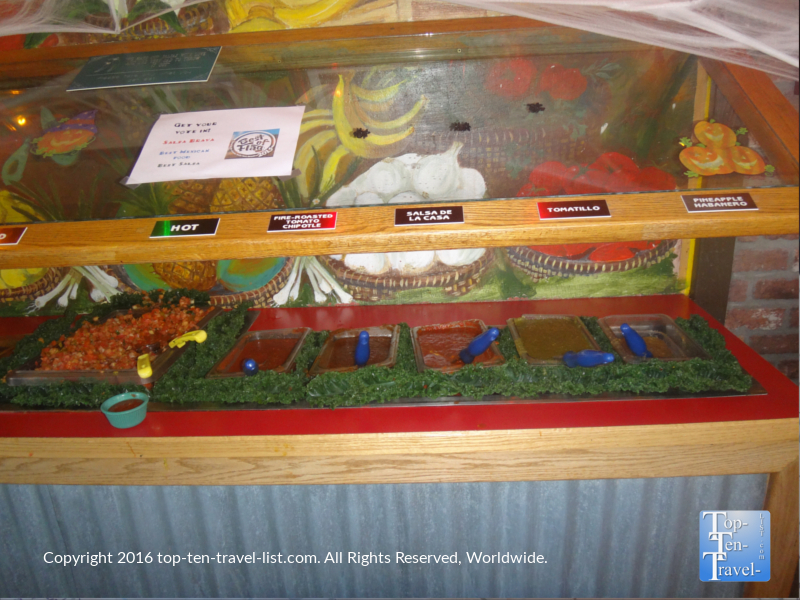 The never ending salsa bar, from super mild to scorching hot!